?? A tradition of more than 60 years continues with the first new “Fun Map” Disneyland Paris since 1995 (which was an adaptation of the 1992 with a new logo)! 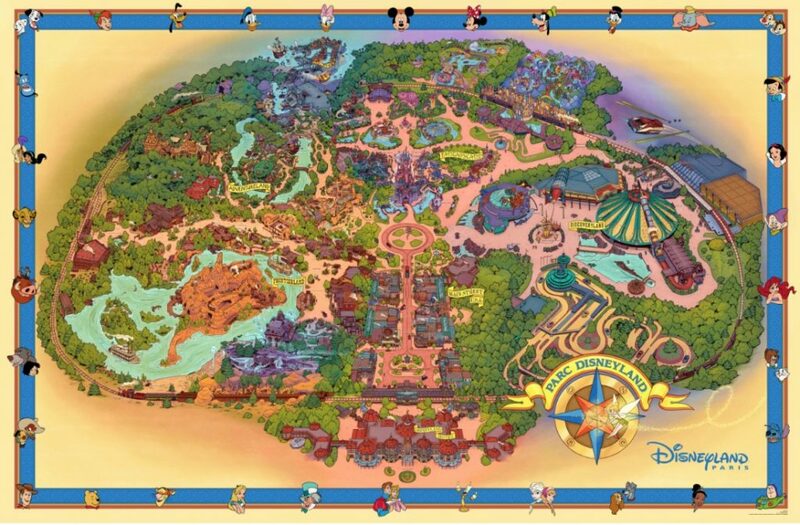 Fans can find this new poster detailing the map of Disneyland Park, in a deluxe format of 1m wide. Available at 7.99 € in The Storybook Store (Disneyland Park), Harrington’s (Disneyland Park), Mickey’s (Disneyland Hotel) and The Disney Gallery (Disney Village). In addition, the “Fun Map” will also be available at the “Art on Demand” kiosk at The Disney Gallery. This collector product was created in collaboration with the artists of Walt Disney Imagineering to realize a new design full of details! ?? Een traditie van meer dan 60 jaar gaat verder met de eerste nieuwe “Fun Map” van Disneyland Parijs sinds 1995 (die een aanpassing was van de 1992 versie met een nieuw logo)! Fans kunnen deze nieuwe poster vinden met de gedetailleerde plattegrond van Disneyland Park, in een luxe formaat van 1 meter breed. Verkrijgbaar vanaf € 7,99 in The Storybook Store (Disneyland Park), Harrington’s (Disneyland Park), Mickey’s Gallery (Disneyland Hotel) en The Disney Gallery (Disney Village). Bovendien is de “Fun Map” ook beschikbaar in de “Art on Demand” -kiosk in The Disney Gallery. Dit verzamelproduct is gemaakt in samenwerking met de kunstenaars van Walt Disney Imagineering om een nieuw ontwerp vol details te realiseren!